Keep your guns safe and secure in the beautiful lockable red cedar log gun cabinet. This handcrafted rustic red cedar log gun cabinet features 4 locking doors and can accommodate up to 12 rifles. There are two locking lower doors for additional storage. Upper glass does are etched in a wildlife theme and lower doors have a burned wildlife theme. Finished with three coats of smooth and protective Hi-Build lacquer, these red cedar log gun cabinets come fully assembled. Eastern Red Aromatic Cedar is one of the most pleasant smelling woods in nature. The process for all Wildwood Rustics furniture is done by hand, from gathering the wood, the peeling, shaping, and sanding to the final coat of finish, thus preserving the natural beauty of the wood.  The works of nature such as scoring, tracking, spots, dots, natural decay, along with the effects and coloration from aging, enhances the log faces and tops. Dimensional lumber gives you a continual contrast of color, texture and patterns. This manufacturer proudly handcrafts all of its furniture in America and offers a limited lifetime warranty on their rustic log furniture for materials and workmanship. This item generally ships in 3-4 weeks. As with most of our rustic furniture, this item has free curbside delivery to the lower 48 states! To keep costs down, there will be only one freight driver for your delivery. The freight driver is not obligated to unload your gun rack from the truck, so if you do not have at least 2 strong people to unload, we recommend the optional lift gate, which will lower your gun rack from the truck to the ground.